Can WebRTC applications and mobility invigorate a stagnant UC market? ORLANDO -- In an age when everyone has a smartphone, enterprises can struggle to give their employees a cutting edge unified communications and collaboration platform. The tools can seem old-fashioned before they're even turned on. 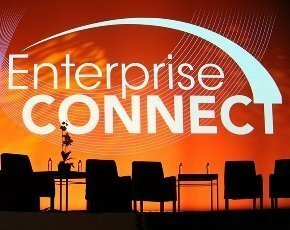 During a panel at Enterprise Connect 2013 UC and collaboration vendors said new technologies like WebRTC applications and enterprise mobility can help IT managers deliver a cutting edge experience. First of all, enterprises need to realize that employees are consumers. They don't put aside their expectations for technology when they use enterprise platforms, said Giovanni Mezgec, general manager of Lync Marketing for Microsoft. Trading their personal smartphones for to platform-based enterprise tools can feel like stepping back in time for users, said Rowan Trollope, senior vice president and general manager of Cisco's collaboration technology group. While every UC vendor has been working on new tools for UC mobility, users simply want technologies that break down the borders between personal and corporate experience. HTML5-based WebRTC applications could remove the barriers between vendor offerings for voice and video, and close the gap between consumer and corporate experience. Aside from connecting employees through browser-based technology, WebRTC, an open source technology that enables browsers to run embedded UC technologies, will also open up the opportunity for business users to better connect with their own customers. Users are also placing more value on anytime, anywhere accessibility. The rapidity and flexibility of cloud service delivery models, rather than on-premises deployments, could better address user needs now, and into the future, Trollope said. More flexible licensing models also wouldn’t hurt. But UC has a way to go when it comes to interoperability. “The only ubiquitous way to contact someone these days is via telephone or email -- you can’t make a video call to anyone without knowing what platform they are on -- that’s still a huge problem,” said Jan Linden, senior product manager for Google.